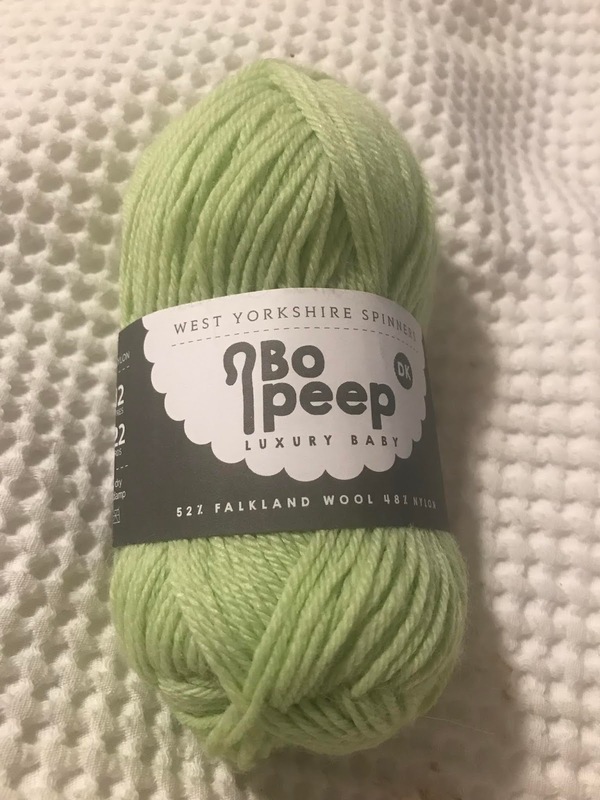 Enthused by the fun experience last Christmas of opening Baa Baa Brighouse's advent yarn calendar on the run up to the big day I decided to shell out (spot the pun!) for an Easter version. 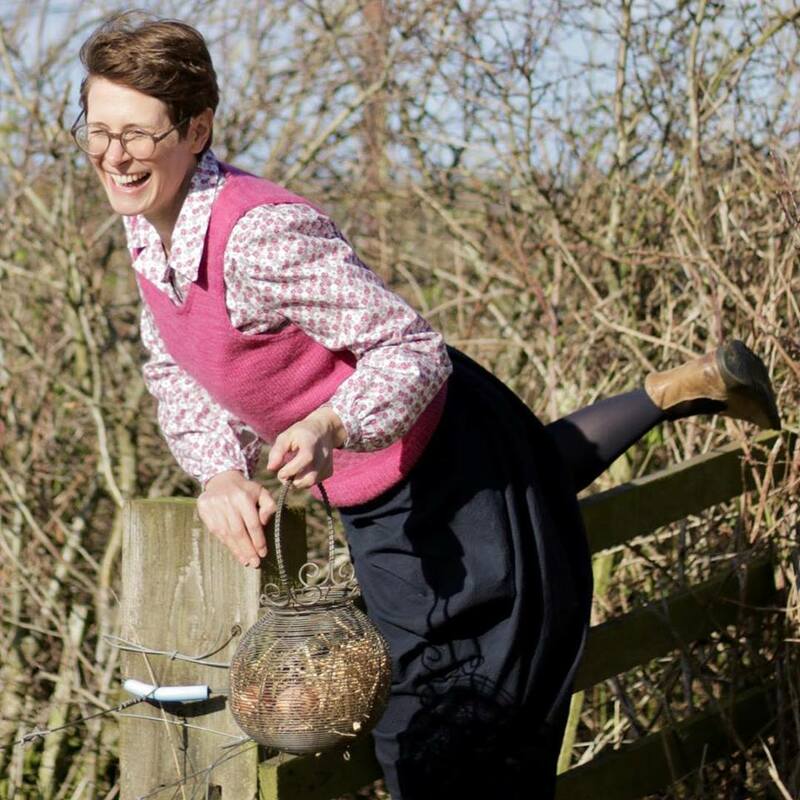 The one I chose was from The Dye Shack, a Somerset-based small yarn hand-dying business. 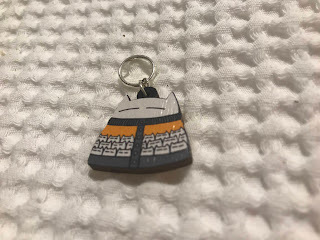 I ordered and paid for it back in February then promptly forgot about it - therefore it was a lovely surprise when it turned up in my post a few weeks ago. Here's what I received: a large plastic yellow egg and a smaller, orange one. Inside the orange egg were some chocolate treats. What beautiful, bright colours! When I ordered the Easter yarn calendar I decided to use the skeins to knit a thinner version of the Land of Sweets cowl. 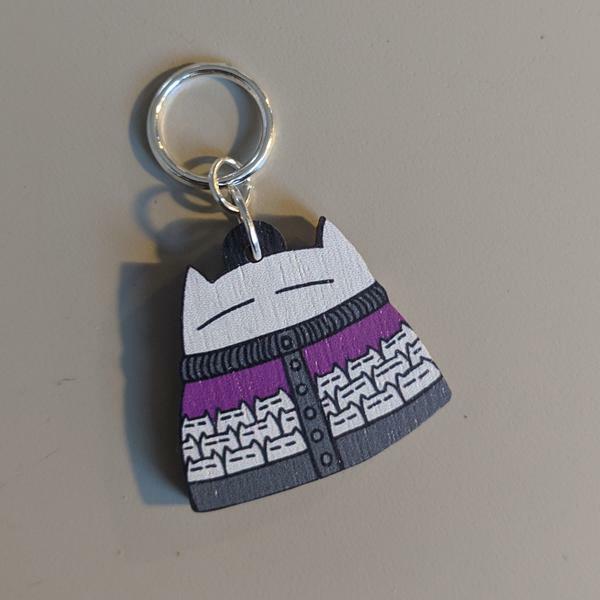 I love it and am looking forward to finishing it and wearing it. The yarn is 4 ply sock yarn and could be used for any number of other projects, yet knowing in advance what I wanted to knit enhanced the yarn calendar experience for me. All in all I was very pleased with my purchase. To add to the forgetful theme I can't remember what I paid for it but it was one of the cheaper ones I could find. The Dye Shack's Easter yarn calendar is no longer available but keep an eye out for a Christmas version on sale later this year. 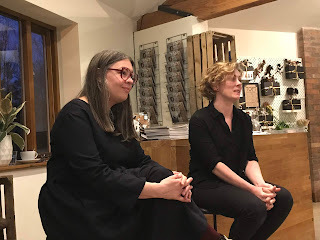 My tip is to save in your Ravelry folder in advance any patterns you come across that may be suitable for knitting with lots of mini skeins in order to avoid a 'great yarn but what on earth am I going to do with it?' moment! 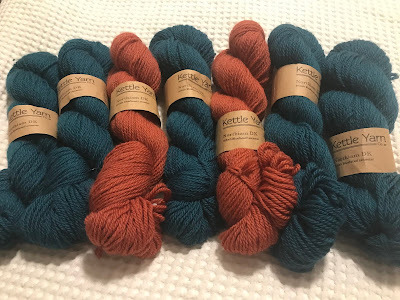 In Spring, with British weather changing from sunny to cold and rain at the turn of a dice, it's a puzzle whether to continue knitting warm garments and accessories or to ditch the DK and choose summery lace weight and 4 ply knits. This month A Woolly Yarn is rounding up some of the best patterns recently released by independent designers. If you're wondering what next to knit, then why not be inspired by one of these? 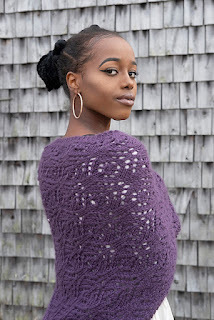 Her latest collection, available at loveknitting.com, was inspired by the TV series The Crown, which follows the life of Queen Elizabeth II from her accession to the throne. Think 1950s style with pretty colourwork. 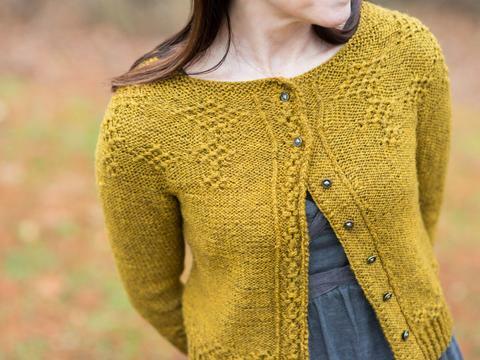 The patterns showcase her yarn Debbie Bliss Rialto 4 ply and, as such, are a lighter knit. Joan is a light jumper to throw on during balmy evening. Vera is a more demanding pattern for knitters who want to try out their stranded colourwork skills. 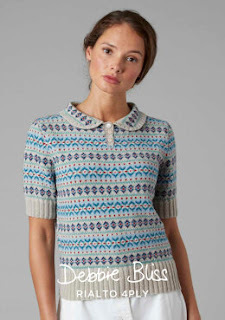 The vintage-style top certainly wouldn't look out of place on the TV drama Call The Midwife! Both patterns are instantly downloadable at a price of £3.50 each. It might be knitted in The Fibre Co.'s chunky Tundra yarn, but the Winter Harbor Shawl (pattern downloadable for $7.20 on Ravelry) looks to be a great cover up for Summer evenings when the sun goes down. 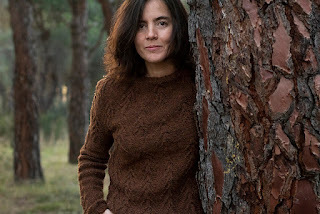 If it's not time for you to give up on the DK just yet, Carmen Garcia's de Mora's Forest Sweater is a good pattern choice. The yarn used is The Fibre Co.'s Lore spun from 100% Romney wool. 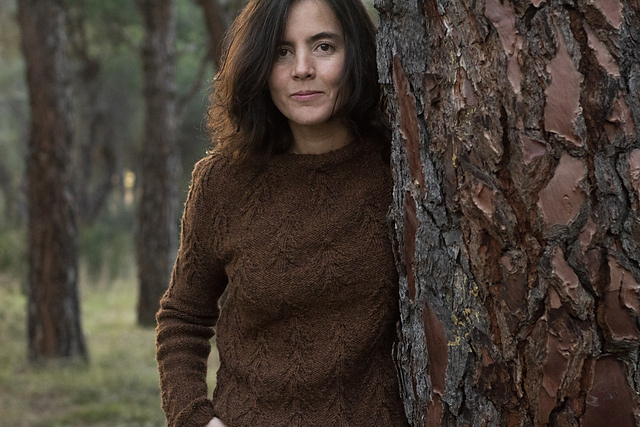 The image above shows the jumper knitted in an autumnal brown shade, but there are brighter, more summery shades also available in the range. The pattern costs 7.20 Euro on Ravelry. Yorkshire designer Kingstone has released her sport weight sweater design, Esholt, as a one off pattern. Previously it was only available in her Cabled Knits book. Kingstone says her sweater is perfect for Spring and is knitted using Carol Feller's Nua yarn. Esholt costs £7 to download. 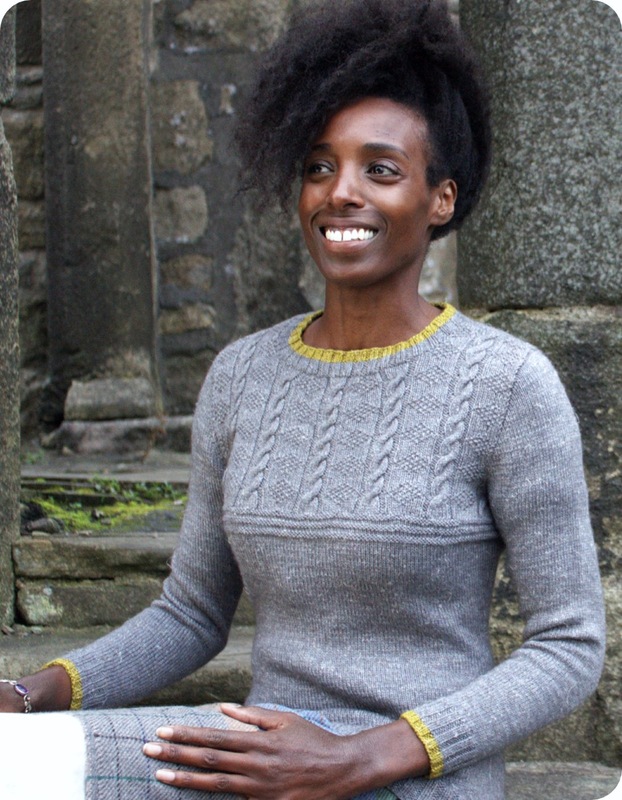 Baa Ram Ewe's Winterburn Aran is perfect for sweaters/cardigans worn on colder days. US designer Jennifer Wood has used the Yorkshire wool for her Rune cardigan design - I love the stitch definition on the yoke. The design costs $8.40 on Ravelry and each 100g hank of Winterburn Aran is £15. Socks are perfect for knitting whilst on the go. 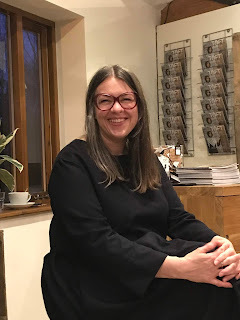 Internet hit-designer Winwick Mum, otherwise known as Christine, has teamed up with West Yorkshire Spinners for a yarn/pattern designer combo. 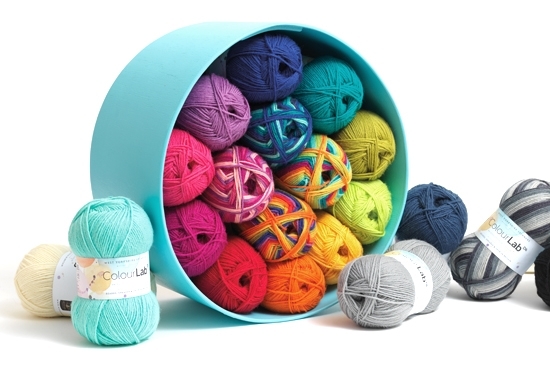 Each of the four sock yarn colour ways in the collection costs £7.20. The accompanying pattern book is £8.50 either direct from WYS or your local yarn store. Which pattern will you knit first? Or is there one you can recommend to A Woolly Yarn readers? Please let us know in the comments box below or on our Facebook page. 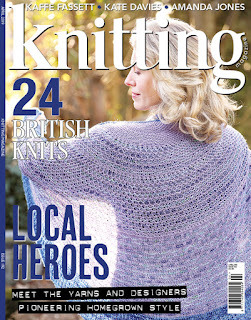 At A Woolly Yarn we love British wool and designers, and it was great to discover that once again Knitting magazine has devoted an entire issue to British knits: Issue 192, April 2019, priced £5.99. Knitting is aimed at intermediate and higher-skilled knitters, although each issue does have a few patterns suitable for beginners. So what's inside? 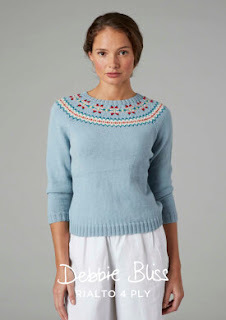 All of the garment patterns are classic and practical, perhaps with the exception of Kaffe Fassett's Rowan Felted Tweed intarsia sweater in glorious blue and green (picture sadly not available). The range of British yarns featured include Baa Ram Ewe's Dovestone Natural Chunky for a shawl by the magazine's editor, Christine Boggis; Daughter of a Shepherd's Ram Jam for Jane Lithgow's socks; newcomer Walcot Yarns Opus for the Treadworks cardigan by Amanda Jones; Kettle Yarns Co Northiam DK for the Starflare Cowl designed by the company's owner Linda Lencovic; Blacker Yarns Jacob 4 Ply for Jo Allport's Cable Lapel Cardigan, and Wendy Traditional Aran for Pat Menchini's man's gansey. Says the magazine, "this simply classic design from Sheffield-based Emma Wright shows off this delicious fibre at its best". I can imagine the jumper would become a stable to wear with jeans. Being honest there isn't a pattern in the issue that stands out to me as a 'must knit', but I recognise that it's a matter of personal taste and what there already is in your knitwear collection. For me the strength of the British knits special is in its features. 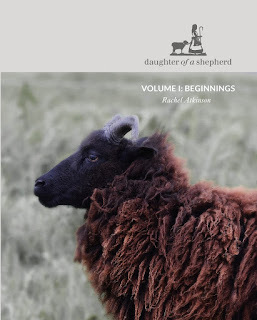 The new section has details or Erika Knight's latest release, Wool Local (we'll be reviewing it on the blog soon), and Kate Davies Ard-Thir. There's an extract from Kate Davies' book Handywoman, in which she discuses how her life changed after she had a stroke at age 36. Zandra Rhodes looks back over her 50 years in fashion in one feature, whilst another describes how yarn producer Laxtons is championing British wool and spinning. One stand-out feature is the comprehensive yarn review, which of course this issue features only British yarns. 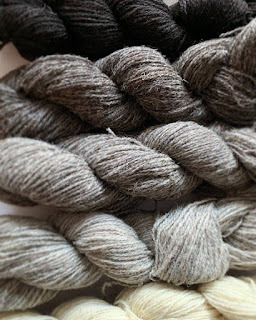 Lesser-known yarns featured include Cat and Sparrow's Sweater Weather DK (a blend of 75% Bluefaced Leicester and 25% Masham), and Mahoodly's 100% Bluefaced Leicester 4 Ply Superwash. If your local newsagent doesn't stock a copy of the magazine you can buy it online direct from the publisher here. 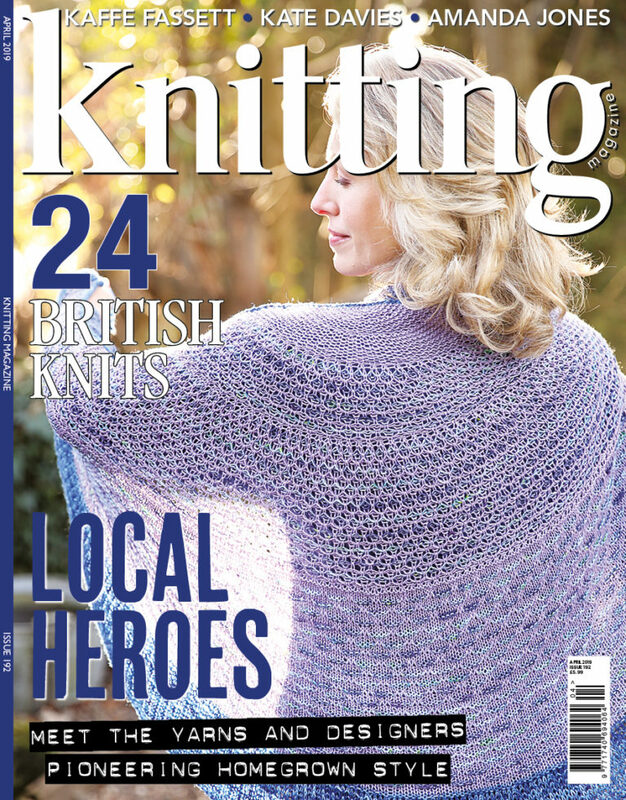 How does this issue compare with last year's Knitting magazine's British special? Read our 2018 review here. I've been back at home for a few days now following an exciting few days in Scotland's capital to visit Edinburgh Yarn Festival. That's given me time to unpack, recharge my batteries and lovingly look over my purchases. Thankfully for my bank balance I wasn't able to buy much due to travelling hand luggage only on the plane - although if I'd had the cash and a huge suitcase there was much, much more I could have brought home! Indeed I saw lots of women with wheely suitcases there (although whether they were stuffed with yarn or their owners were planning on travelling home after the event I don't know) and a security guard told me that one festival goer had said she'd spent over £1000 on woolly joy. It sounds a heck of a lot but with over 90 vendors to choose from, some offering premium, one-off products, I can understand why she parted with her cash. The reason for my going to to EYF was to write a feature on it for The Knitter magazine, which will be published in a few month's time. 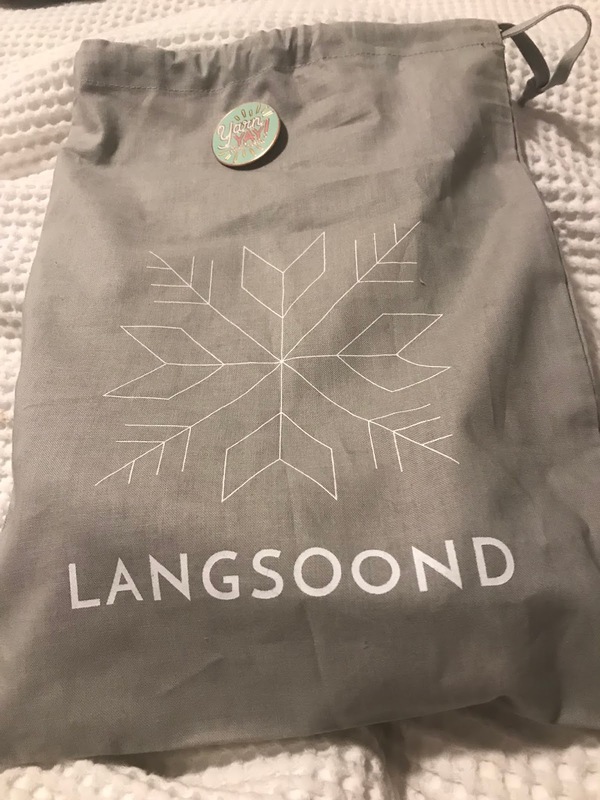 In this blog post I thought I'd focus on my own purchases. 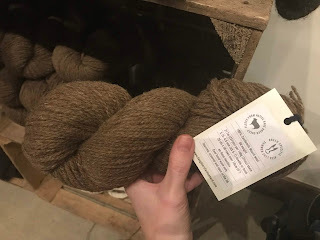 I've been to yarn festivals before, both big and small, and EYF really stood out to me as being at the top of the game. Although it did get really busy, apparently it's the most-visited event at the Edinburgh Corn Exchange, there were places to go to get a break either in the marquee or outdoors. Plus lots of outlets selling cake. The atmosphere was very friendly and happy, with old friends meeting up and new pals being made. 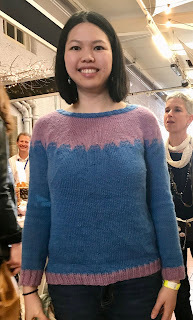 Lots of people (including me, wearing my my latest knit using a Ginger Twist Studio yarn and pattern) were proudly sporting one of their hand knits. 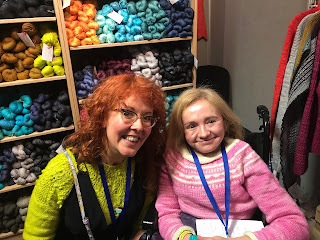 I met the lovely Jess from Ginger Twist Studio at her stand to show her my jumper, and also spotted quite a few Kate Davies and Marie Wallin designs. I also saw this fabulous jumper knitted by a lady (see photograph on the left) who kindly let me take her photograph. The pattern is 'The Simpler Sinister Sweater' by An Caitin Beag. 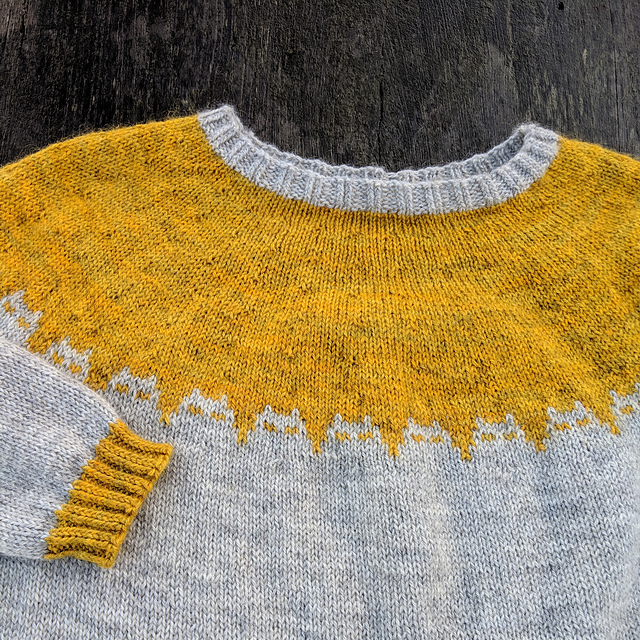 I'd added it to my Ravelry favourites a few months ago but seeing the jumper in bold colours, as opposed to the light grey and yellow on the pattern's cover, strengthened my resolve to knit it. Quite frankly there were lots of stalls I could have bought the DK yarn for it at EYF. Most stands stocked either 100% wool or wool blends, with an emphasis on Scottish and British fleece. It was rather like being a child in a sweet shop, being able to see and squish all the fabulous yarns on display, many from small businesses that only sell by mail order or at yarn shows. To start off I bought the printed pattern (I much prefer buying a printed pattern rather than downloading and printing one myself) at £6 plus a cute stitch marker also from An Caitin Beag for £4. Then it was time to hunt for the yarn to knit the sweater with. I wanted British wool soft enough to wear against my skin and found it at the very helpful Kettle Yarn Co. stall. Owner Linda and her assistant talked me through their yarns and I was impressed my their recent launch Northiam DK. It's 100% British Bluefaced Leicester wool that's surprisingly smooth and bouncy. But which colours to buy? Linda helped me whittle the choice of 11 down to two for the sweater based on her colour knowledge. I bought the greeny/teal shade 'Caspian, which will form the main body of the sweater, and 'Rosehip' as the contrasting colour. Each 50g skein was £9.25, although on Kettle Yarn Co.'s website the skeins are now listed at £9.50. The EYF marketplace was open on from Thursday to Saturday and on Sunday there was a separate, smaller event called Make::Wool. This gave very small businesses, including textiles and ceramics as well as artisan yarn spinners and dyers, a chance to showcase their products. With the knowledge that I had barely any more room in my overnight case I stuck to one purchase, that being a handy drawstring project bag for £5 from Donna Smith Designs. The enamel badge on it is my own. 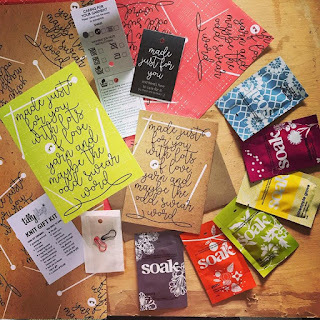 All in all EYF was a great treat and fantastic research for this blog. I met some great people making gorgeous yarns and will be featuring them on A Woolly Yarn in the months to come. Watch this space! Did you go to EYF? What did you buy? 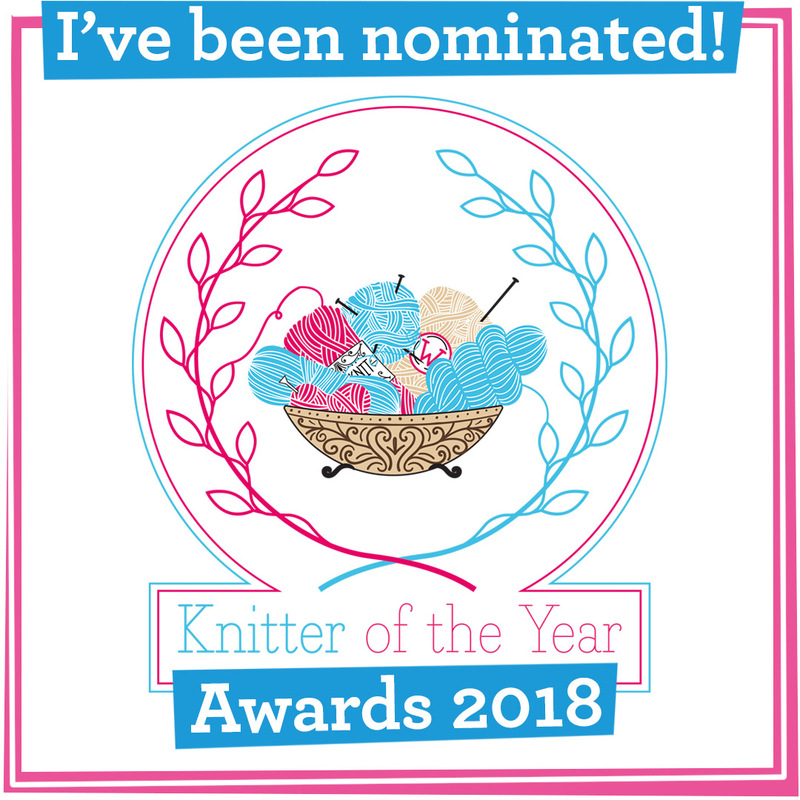 Let us know in the comments box below or on A Woolly Yarn's Facebook page. This year's Shetland Wool Week patron is Oliver Henry, otherwise known as the 'Man of Wool' for his 52 years of work judging, grading, sorting, promoting and researching wool on the island. 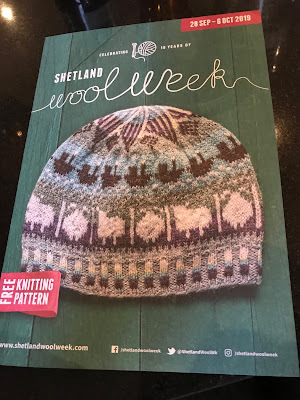 2019 is Shetland Wool Week's 10th anniversary and Oliver Henry attended this year's announcement at Edinburgh Yarn Festival to launch this year's free hat pattern, 'The Roadside Beanie'. Henry came up with ideas for the beanie, inspired by his life on Shetland. His colleague Sandra Manson turned the sheep and fishing boats into a pattern. Says Shetland Wool Week, "Oliver has worked with sheep and wool for over fifty years, so it was clear to them that they would be a big part of his design story. Fishing has also played a big role in his life, especially growing up on the family croft at 'Roadside', in the busy fishing community of Hamnavoe on Burra Isle. Oliver's father and brothers had their own fishing boat and fishing was their livelihood. 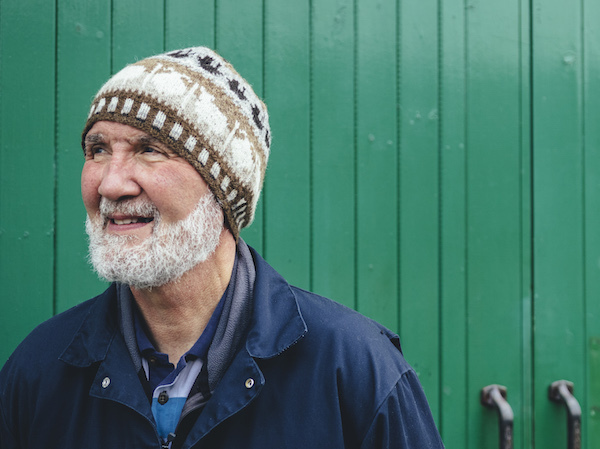 Unfortunately Oliver suffered from seasickness and could not carry on the family tradition of fisherman crofter, so he turned to Shetland wool for his work and inspiration." 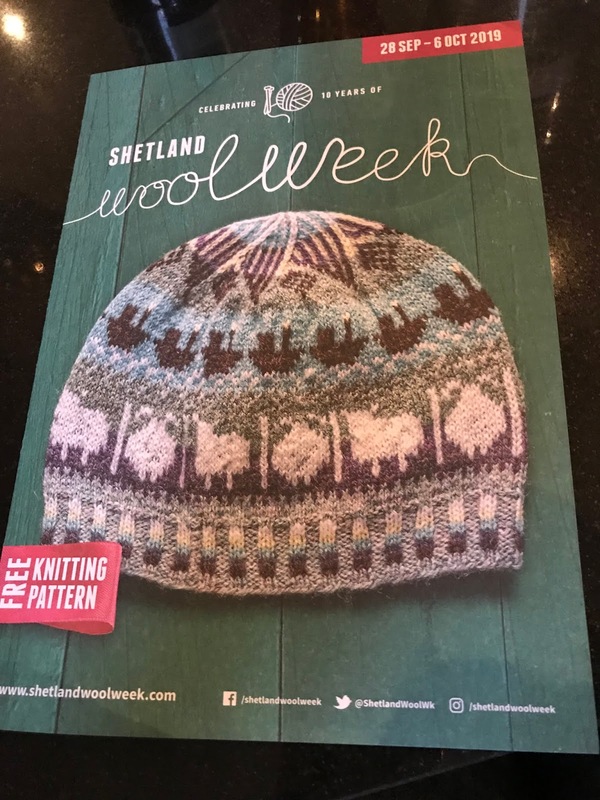 Shetland Wool Week gave out free copies of 'the Roadside Beanie' on their stand at Edinburgh Yarn Festival. Don't worry if you didn't go there - the pattern is also downloadable on their website here. 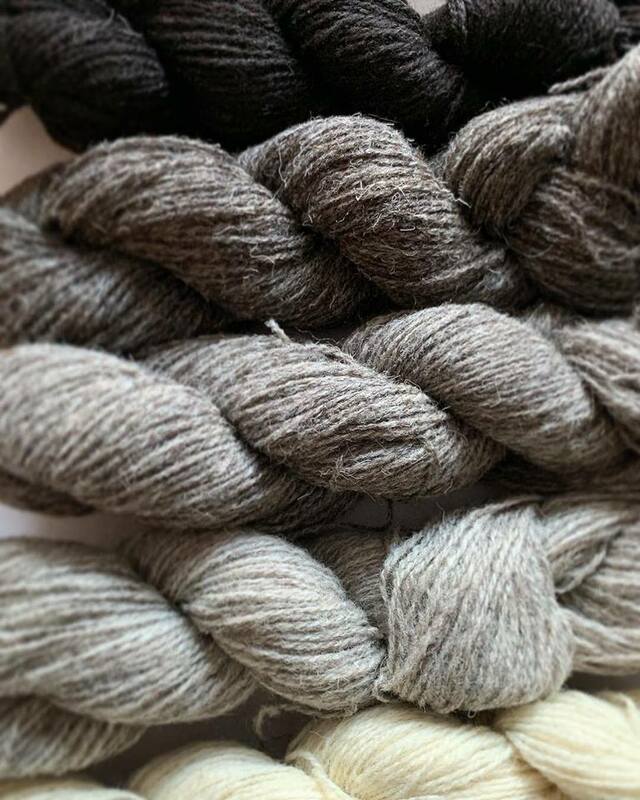 The dates for this year's Shetland Wool Week are 28th September to 6th October. What's New At Edinburgh Yarn Festival? Queen's song Don't Stop Me Now is playing on a loop in my head as I'm excitedly preparing to fly to Edinburgh for its annual yarn fest. 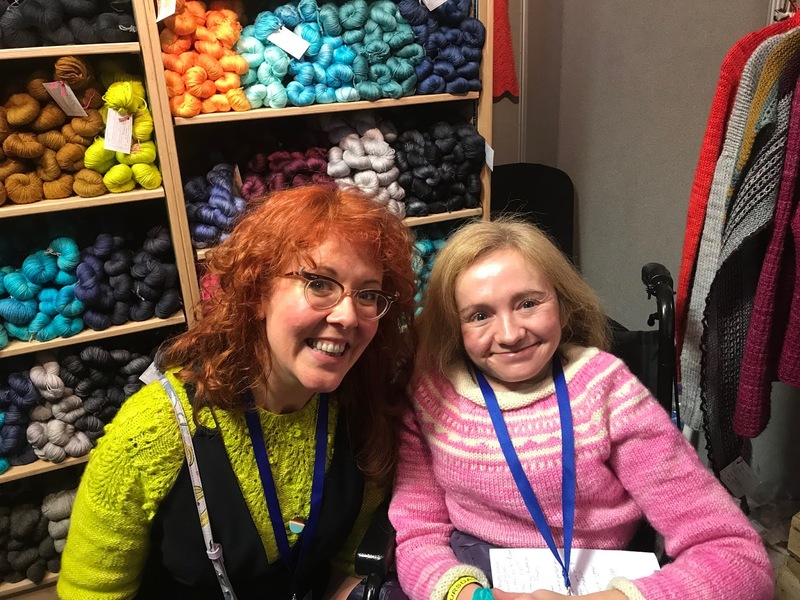 The trip is a mix of part-work (I'm writing a feature on EYF for The Knitter magazine) and part belated-birthday holiday with my husband, who has agreed to push me in my wheelchair around the knitting show as long as we visit a real ale pub for dinner afterwards. Deal! 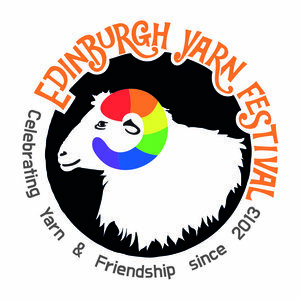 In the six years it has been running Edinburgh Yarn Festival has gained a reputation of becoming one of the UK's top knitting festivals, with many visitors flying in from abroad. It's also a champion of both Scottish wool businesses and small independent producer/makers who you won't find in your local yarn store. The marketplace runs from Thursday 21st to Saturday 23rd March and on Sunday morning there's a Make::Wool event. The classes, Make::Wool and the fringe events have sold out but there should be tickets for the marketplace available on the door at the Edinburgh Corn Exchange. There's a plethora of stalls to visit, so much so that I'm going to have to enforce on myself a strict budget. I plan on taking cash only - once it has gone it has gone! 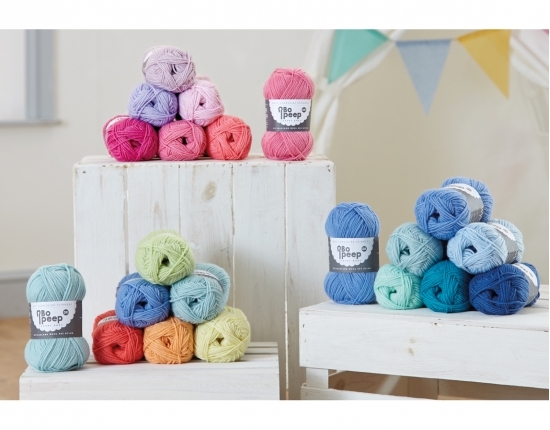 Designers' and wool companies' often choose EYF to launch their latest goodies. In the past week some email newsletters and social media feeds have teased knitters with what will be on offer in Scotland's capital city. Don't worry if you're not going to EYF because products will be available on the individual companies' websites once it's all over. The brand will also be launching the Catwing sweater at EYF. Her popular British Breeds gift box, containing the twelve shades in her own British Breeds wool range, will be back in stock at EYF. 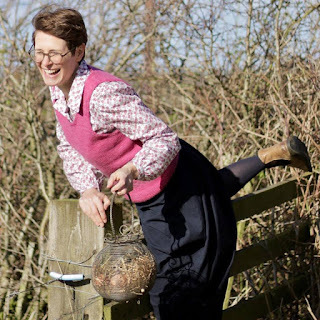 There will also be four new pattern and British Breeds yarn kits available, including the beautiful jumper Birch from her Wildwood pattern book. 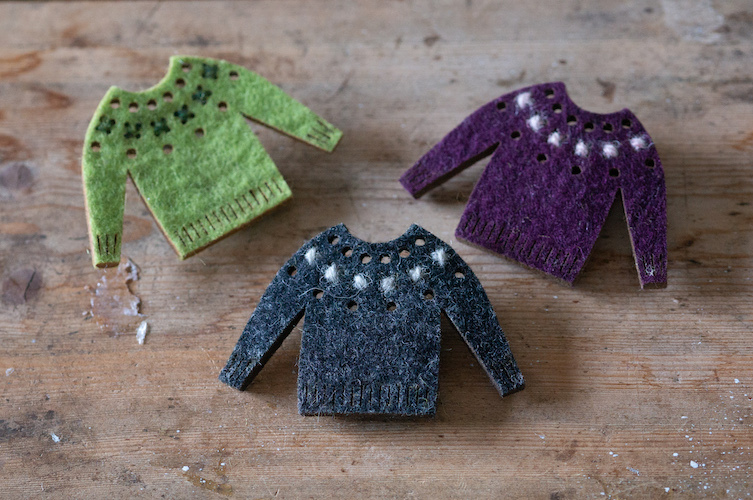 Another cute souvenir of EYF to buy is this cute felt jumper brooch, inspired by Smith's native Shetland. She'll be selling them for £12 at EYF's Sunday morning Make::Wool event. As well as selling the latest of her hand-dyed yarns, The Knitting Goddess is to launch her latest pattern book, Wist Tha Bahn?, at EYF. Apparently it means 'where are you going?' 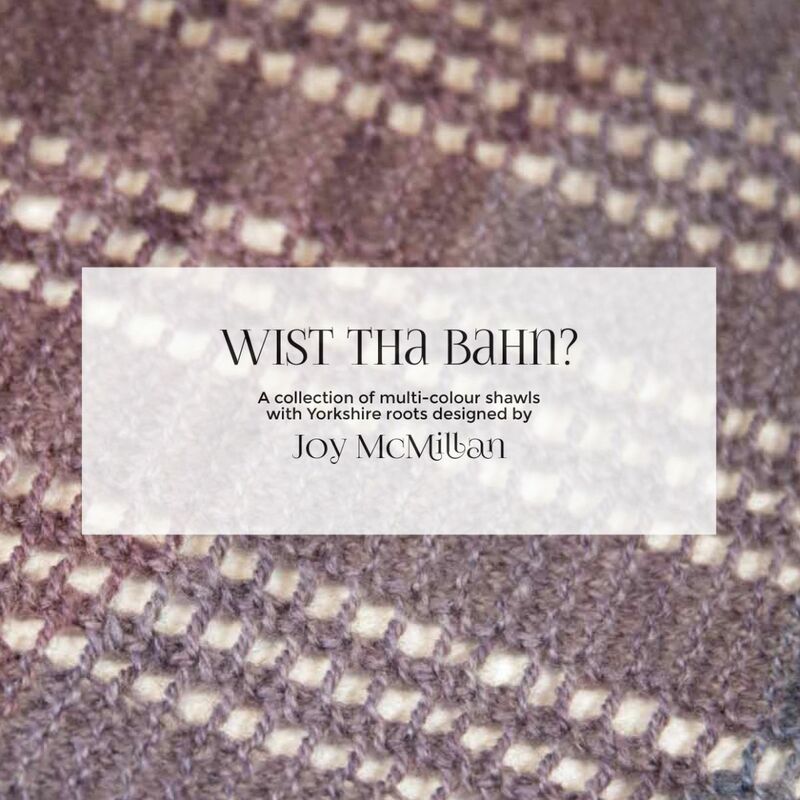 in Yorkshire dialect, though as a Yorkshire lass I've never heard it! The book contains six shawl patterns. 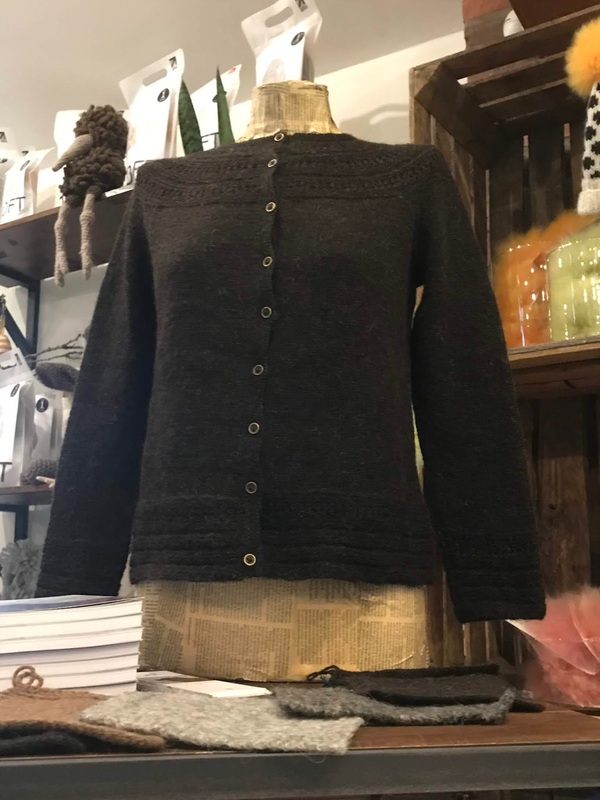 On Saturday morning the company will be showcasing Renee Calllahan's Midding Cardigan, knitted in a small batch of Kettle Yarn Co's Baskerville DK. 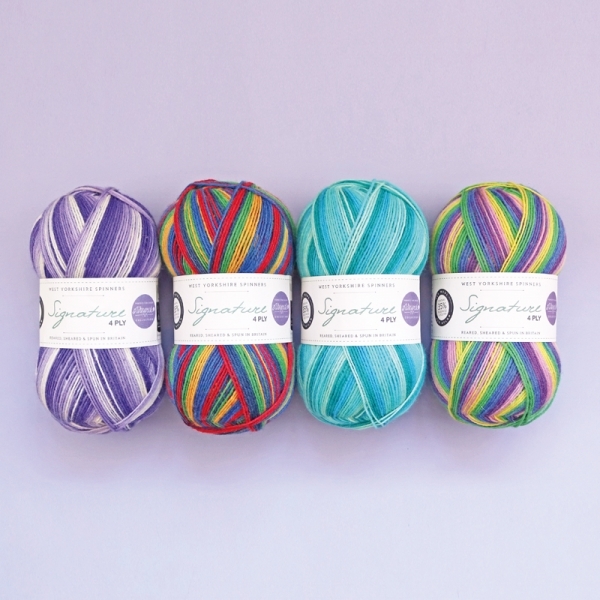 You'll be able to meet Callahan and have a squish of the new Baskerville DK's colours. Rachel Atkinson, aka Daughter of a Shepherd, (read our recent blog post about her here), has teased on her Facebook account that at EYF there will be 'Ram Jam but not as you know it'. Ram Jam is one of her own yarns and is a blend of British fleece that would otherwise have gone to waste. What could the new addition be? 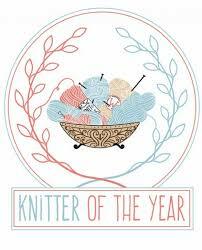 The Knit Gift Kit will be on sale for the first time at EYF. According to Tilly Flop 'you'll get a sheet of wrapping paper, a greeting card, a tag with care details, a glassine envelope for all the important spares, a bulb pin to carefully fasten tag to the gift and a sachet of Soak'. Price TBC. 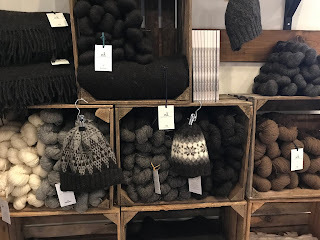 Each year Shetland Wool Week usually announces at EYF who this year's patron is going to be and also releases a hat pattern to give Wool Week goers enough time to knit it before the September event. We don't know for sure this is definitely be happening this year but if it does we'll let you now. Are you going to EYF? Which stands have you got your eye on? A full list of exhibitors is available here. Break out the paintbox because West Yorkshire Spinners' new wool range for Spring/Summer DK is unashamedly bright, bold and cheerful. 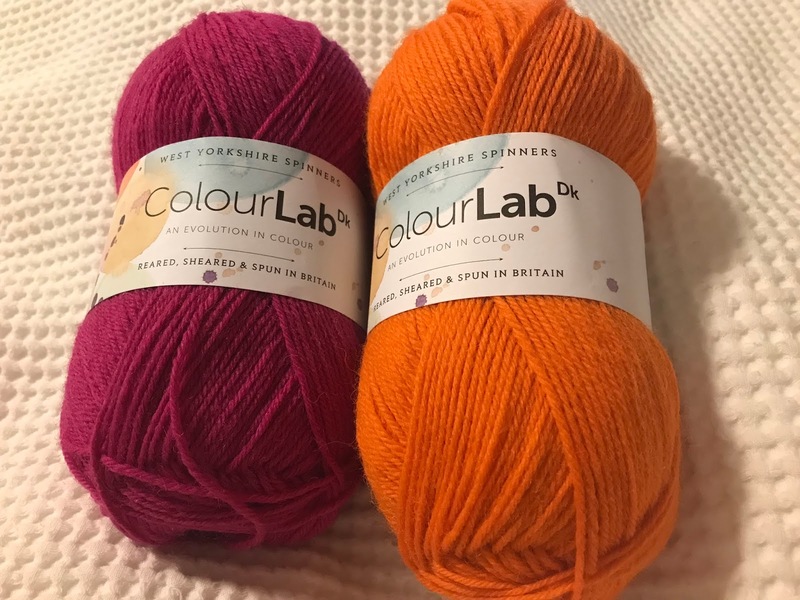 ColourLab DK is spun from 100% British wool and at £6.50 for a 100g ball, is aimed at the more price-conscious knitter who doesn't want to compromise on knitting with a wool-only yarn. There are a whopping 18 solid shades and five self-striping shades to choose from in the launch. A WoollyYarn received the shades 'very berry' and 'zesty 'orange' for review. The two shades pack a punch together. The wool has a slight halo, is strong and comes with the tagline 'reared, sheared and spun in Britain'. I haven't yet had time to knit them up, but feel that ColourLab DK would be a good workhorse choice for both jumpers and accessories. 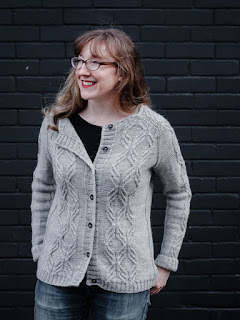 In my Ravelry favourites is Marna Gilligan's The Simpler Sinister Sweater. ColourLab DK's 'citrus yellow' and 'silver grey' would be perfect to knit this sweater with. 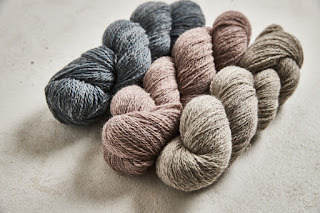 The ColourLab DK influence has filtered down to WYS' existing Bo Peep luxury baby DK yarn, with ten new solid shades and four pale variegated colours (not shown below) on sale for the Spring/Summer 2019 season. The photo of the yarn really makes me feel that Spring is in the air, despite the gale blowing outside as I type. Bo Peep DK is a practical blend of 52% Falkland wool and 48 nylon, designed with knitting for babies in mind. WYS sent A Woolly Yarn the shade 'apple', a fresh, unisex light green, for review. The yarn feels very soft and smooth, certainly suitable to be worn next all but the most sensitive baby's skin. It's very budget, friendly, with a 50g ball selling for £3.95 from your local yarn stockist or directly from West Yorkshire Spinners. I've recently seen an appeal from a maternity unit wanting hats for premature babies and I'm planning to use this yarn for them.